Eritrea's ambassador to the African Union said on Tuesday that Qatar must mediate with neighbouring Djibouti over the two countries' disputed border. The Gulf nation brokered a peace deal between the two countries in 2010 over the disputed Red Sea region of Doumeira, which has been the site of disagreements and clashes between Eritrea and Djibouti for decades. Qatari troops withdrew from the contested border last month when the Horn of Africa nations signalled their support for Saudi Arabia after it accused Doha of supporting terrorism. Djibouti claims Eritrean troops moved into the disputed territory for one day after the Qatari withdrawal, raising fears of an armed confrontation such as the one that broke out in 2008. While Djibouti has called on the AU to demarcate the border to avoid a resurgence of conflict, Eritrea's ambassador to the AU Araia Desta told AFP Qatar was the original negotiator of the peace deal, and so it is up to that country to settle this latest dispute. "So far as Djibouti is concerned, we know Qatar is the mediator," Desta said. The AU has sought to play an active role in tackling dispute, with chairman Moussa Faki Mahamat asking both countries to "exercise calm and restraint" and announcing he would send the body's commissioner for peace and security to Eritrea. 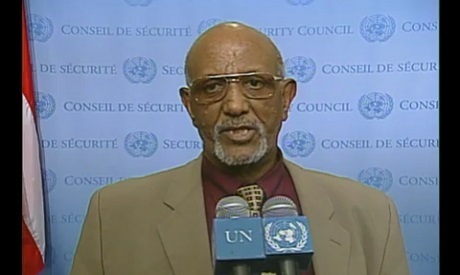 A previous fact-finding mission was allowed into Djibouti, but Faki said Eritrea denied permission for them to access its territory.